The strange truth about paradise is that it eventually gets to be boring and, quite frankly, depressing. Now, he goes on to share some of the good as well, but it is an interesting read. I’ll try to remember paradise isn’t paradise as I slog the 2K miles a month to work and school and home in a maddening OPEC merry-go-round. We have seasons here in the Bay Area. Three of them, really. We have summer… I love summer. The sun is up until 9 at some point and it feels like you have time to do pretty much anything. Then we fall. Fall, in the Bay, lasts until spring. It goes from about October until March. Spring is a short thing… April to May. We have other seasons we can drive to and every once in a while the mountains around the Bay (kind of big hills, really) show a dusting of white, but it tends to melt by 2:00 and there are no plows or road salt. I will go on with my ideal vision of the tropics. I saw a bumper sticker in Kauai onces that read “Kauai, a great place to visit. Don’t move here.” That kind of gets in the way of the fantasy. The Slack Tide Bar… one of my most favorite places on this planet. Don’t mess with the fantasy. There are lots of things that you SHOULD consider bringing with you on your bonefishing trip (I love Desitin, for example). Flatswalker had some thoughts about what you SHOULD NOT bring with you. See the full list here. Sandals. I don’t care what you call them or what brand they are, you’ll regret it. Grey polarized sunglasses (unless you’re legitimately color blind, then maybe). Rod tubes… I mean, why? What are some of the things you urge people to not to bring? Oh… and Bananas. Of course. Davin over at Flatswalker not only has a pretty fantastic blog (one of my consistent favorites), but he also has some knowledge to drop. I do like a good read and Flatswalker is pretty much that. What wasn’t perfect was the weather. Andros was under the same weather system as the Florida Keys we’d just left. Upon arrival we rigged rods and checked leaders while Charlie mixed drinks and regaled us with stories of monster bones, massive schools, and, well, everything we’d dreamed of for months. 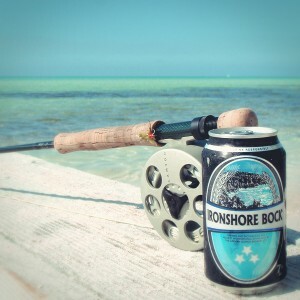 We went to bed early dreaming of giant bonefish and worrying about the weather, both with good cause. I made a few blind casts and hooked a nine-inch barracuda. I pulled it in by hand and green shards of bucktail from the abused clouser stuck to its skin and my fingers. Isn’t that a great image. Don’t you just see that when you read those words. Yeah… I do too. Read this great little piece by Fishing Jones. Fishing Jones was one of the earliest fishing blogs. An east coaster with a penchant for stripers and a way with the written word, his is the kind of blog that you wish were updated every day, just so you could have something quality to look forward to. I feel much the same way about Flatswalker, who also really has the ability to turn a phrase and put you there, out on the water in the middle of no where with a rod in your hand, even when you are stuck in the largely (although not totally) bonefish devoid state of California. If you like Pete’s writing and want to see more of it… you can check out The Blitz (via Moldy Chum). You can’t catch bonefish until you can catch bonefish. It’s a lot like the one hand clapping thing. Flatswalker lays down some rules/guidelines he’s developed over the years. Always a good read. Check it out. Always have to cheer when good things happen to good people. Congrats Davin. the book is out now and if you’re a bonefisher or plan to become one this is a MUST HAVE for your fly-tying desk. Not only does it contain almost 200 patterns, but it describes how and where to fish them. 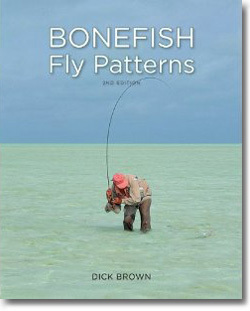 It also has a TON of info about bonefish habitat, behavior, and food preferences as well as lots of tips and techniques.Hop over to your local fly shop and grab a copy, or hit Amazon… but they only have a few copies left so you’d better hurry. 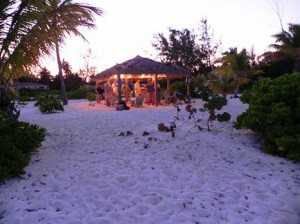 Hey, so… if you head to Grand Cayman, you should look up Davin at Fish Bones Guide Service. 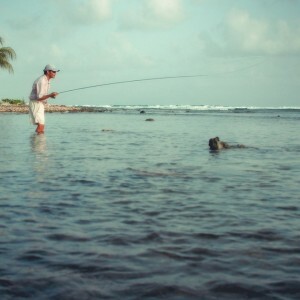 Did you know there are fish there in Grand Cayman and… shock… you can catch them on a fly! It is true. Check out this little video from Davin (who also happens to write one of my favorite blogs anywhere, Flatswalker).